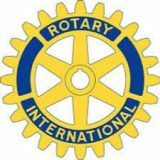 We are so very appreciative of the ongoing support of the Witney Rotary Club, who have been welcoming neighbours since the opening of our cafe and training hub in the WIndrush Leisure Centre. Their donations and practical support have enabled us to offer the kind of service we want to provide, for the benefit of Witney young people. We are very grateful for their most recent donation (March 2019), assisting Witney young people to meet the costs of attending sessions and residential breaks over the school holidays. Thankyou so much to the Trustees for your ongoing support.